The crisis engulfing farmers was built on the back of negligence and bad po licy. The resultant migration to urban India has devastating socio-economic consequences. Never before in history has the landless see­­med to be better off than marginal and small land-owning classes. Farmers, emotionally attached to their lands continue to try, uns­uccessfully, to make a living from their meagre holdings while those with no land have little to hold them back from moving to other professions or migrate in hope for better opportunities. Pent-up frustration has erupted in more farmer agitations across India in the past four years than in the preceding decades. The current times are reminiscent of when Mahatma Gandhi returned from South Africa in 1916 to launch the Champaran Satyagraha. Along with the Kheda Satyagraha in Gujarat, such farmers’ uprisings got channelised into beginning the grassroots Indian Independence movement. The current turmoil may well signify the beginning of yet another momentous change. Prime Minister Narendra Modi’s larger-than-life image, created by clever marketing, sloganeering, social media and advertising spend raised hopes of millions of people across rural India. Having won an unexpectedly massive mandate, he started off with a huge advantage over the government that his dispensation replaced. Though he inherited a declining farm economy, he was blessed with very low petroleum prices that led to several lakh crores of savings accruing to the exchequer and the nation too was ready to believe and follow the new leader, even on a path of thorns that he set. 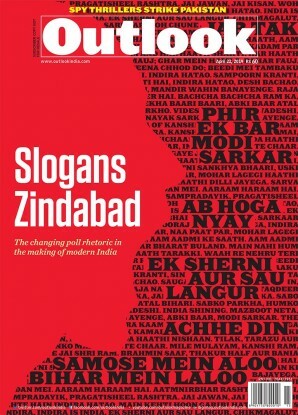 Not since Indira Gandhi has India had a prime min­ister as bold and authoritative as Narendra Modi. The former helped to create Bangladesh out of East Pakistan, nationalised private banks, ended the privy purses but also imposed the Emergency. Modi announced demonetisation that took 80 per cent of the cash out of circulation in the beginning of the sowing season and followed up with a poorly implemented GST. The double whammy, entirely human induced, accompanied the twin mammoth shocks of a back-to-back drought and very low international commodity prices. This vicious concoction destroyed hopes of millions and dented Modi’s infallible image as well. The two-year drought led to a production shortfall and high commodity prices. When farmers responded to market signals of high prices of pulses and oilseeds, production jumped up, while the country kept imp­orting pulses and edible oil at zero import duty. It took the combined force of cabinet minister Nitin Gadkari, CEA to PM Arvind Subra­m­anian and Niti Aayog member Ramesh Chand to coerce the establishment to stop import of pulses and to take other remedial measures. These came too late as large segments in the countryside went over the edge. Several central farm schemes did not deliver. Commodity prices fell, input prices shot up, thus decimating farmer incomes. Trying to salvage the situation after the Mand­s­aur calamity, the Nashik-Mumbai march and other agitations, the government panicked, over-reacted and committed a bigger political blunder by announcing higher minimum support prices (MSPs) earlier this year. The methodology to calculate the MSP was contentious but even that would not have become an issue had farmers been able to sell their crops at the promised price. Unfortunately, neither this nor the next government can purchase all the crop production for which MSPs are announced. The PM seems to have been isolated from the caco­phony of discontent by a party leadership fearful to speak the truth. More importantly, an inc­ompetent opposition seems to have given a high dose of dopamine that kept one out of touch with ground realities. Wary of inflation that had battered UPA-II and propelled the BJP to power in 2014, the government prioritised keeping inflation low for consumers and, by design, farmers became the primary inflation mitigation tool and scapegoats. Pradhan Mantri Fasal Bima Yojana, electronic trading portal eNam, soil health cards, model APLM act 2017 and a slew of other schemes have failed to deliver. As commodity prices fell, agriculture inputs become more expensive and decimated farmer incomes. Doubling farm incomes has become a dark and cruel joke. The National Forest Policy 2018 has been a dampener for tribal farmer rights and those living on the margins. Consequently, the largest migration in human history is underway—that from rural areas to urban areas. The silent migration is resulting in devastating socio-economic consequences. While the government wisely retreated from its stated position by continuing with MGNREGA, it was forced to abort on the land acquisition bill. Government actions have also had unintended pos­itive consequences, like reducing urea bag size from 50kg to 45 kg has reduced per acre consumption by 10 per cent, because the farmer measures the input by the bag, not the weight. The department, however, deludes itself, believing that the introduction of neem coating of urea has led to the improvement. Agriculture is a state subject; when states are not able to perform, the Centre too gets the blame. It is equally true that policies for farmers are made by the central government without consulting states or even the beneficiaries, the far­mers. Therefore, central policies look good on paper but cannot be implemented; there is a basic design flaw as policy-makers lack the capacity to make inf­ormed choices. In days to come, the sig­n­ing of the Regional Comprehensive Economic Par­­tnership international trade treaty with­­out taking the opinion of the states and farmer interests into consideration will spell the death knell for the community. After the 14th Finance Commission, there is a 42 per cent of fund devolution to the states and it would be unfair to blame Modi for reduced allocations for agriculture programmes. The state governments are supposed to utilise the increased resource allocations as they prioritise their agriculture needs, which they do not. Accepting the 7th pay commission recommendations was a gigantic blunder. It strained central government finances and even the states will be compelled to accept it. After salaries and pensions have been paid, the states will have no spare reso­urces for development or for even tapping into central government programs like RKVY and ATMA, which require sharing of costs. For all his well-intentioned plans to improve far­mer livelihoods, the failure may well be attributed to over-reliance on the bureaucracy. Even as farmer suicides take place without let or hindrance, the gov­­­­ernment is hiding the figures. 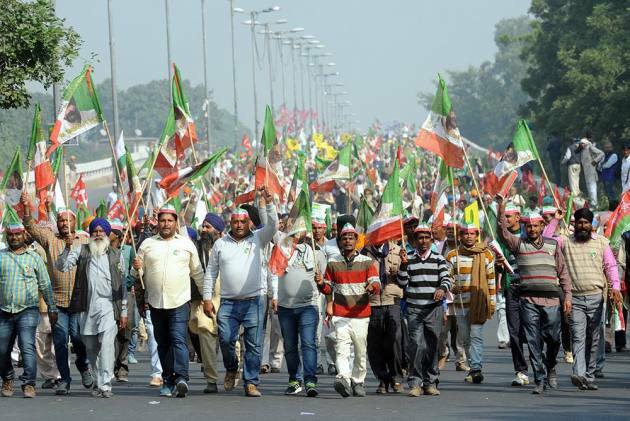 Broken promises like the Rs 15 lakh in bank accounts is not what hau­­nts the BJP. The unkept promise of providing two crore off-farm jobs and lack of livelihood prospects for farmers’ children is the gravest let-down. Over decades the ruling party honed the tactics to blame others for existing problems. This is not an option, as the BJP rules at the Centre and in the states. Taking for granted disunited farmers and making the blunder of believing them to be of little electoral significance may prove costly for more reasons than one. If the Congress makes substantial gains in the state elections, an all-India farm loan waiver may well be on the cards, because there is nothing left to promise or deliver. The future is frightening in terms of the total vacuum of farmer leadership within the top hierarchy of all large political parties today.